The Dominate The Diamond® Majors Course is the most advanced course we offer, targeting coaches that have a team moving on to the bigger field. Our goal is to equip parents with all the tools necessary to become a first-time coach and get the absolute most out of their players. Building team chemistry, formulating drills and practice plans, keeping the game fun and communicating effectively with players are just a few of the qualities a coach must possess. This online course will serve as a guide as you take on the title of coach. For less advanced players, consider either our Rookies or Minors Courses. The Rookies Course assists coaches working with the beginner level player typically ages 6-8. This course explains both the correct mechanics of each skill set as well as the drills used to teach it. This introductory course teaches the fundamentals of the game with an emphasis on simplicity and keeping the game and practice fun, upbeat and energetic! The Minors Course is an advanced version of the Rookie curriculum. The Minors course takes coaches through more complex drill work and coaching techniques. This course was designed to assist coaches working with youth baseball and softball players that already have a basic knowledge of the game and the foundation to develop their skill sets. As former little league, high school, collegiate and professional baseball players, we appreciate the time, effort and dedication from every parent that takes on the role of coach. We know how challenging coaching can be and we want to do everything we can to help educate them. 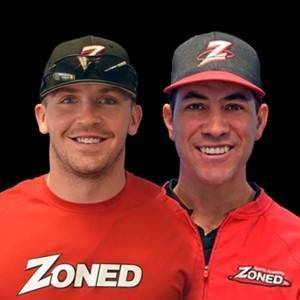 Our vision was to create a step-by-step guide, for even the most inexperienced parents, to help them in every aspect of coaching youth baseball and softball.